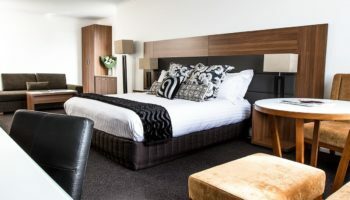 The Mountain View Room in Lenna of Hobart is a modern spacious hotel room (34sqm) with spectacular views of the beautiful Mount Wellington and Hobart surrounds. Enjoy the ever-changing sights from this mountain view accommodation – perhaps you may even see a snow capped peak during the cooler months. 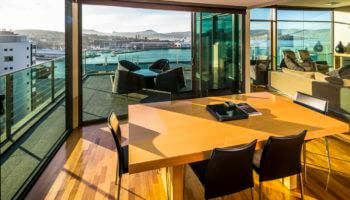 It’s also a short walk to the historic Salamanca Place, Battery Point, Hobart CBD and the waterfront of Sullivan’s Cove. 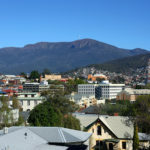 Nestled in a scenic location that gives itself much prestige, the Lenna of Hobart heritage hotel is well-aware of what sights and sounds thrill and relax our guests. Ask our staff for more information on your surrounding areas, or simply ask for recommendations on what’s fun to do around Hobart! 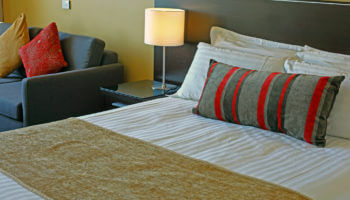 Featuring a king or queen size bed, maximum occupancy 3 guests (additional charges apply for 3rd person).